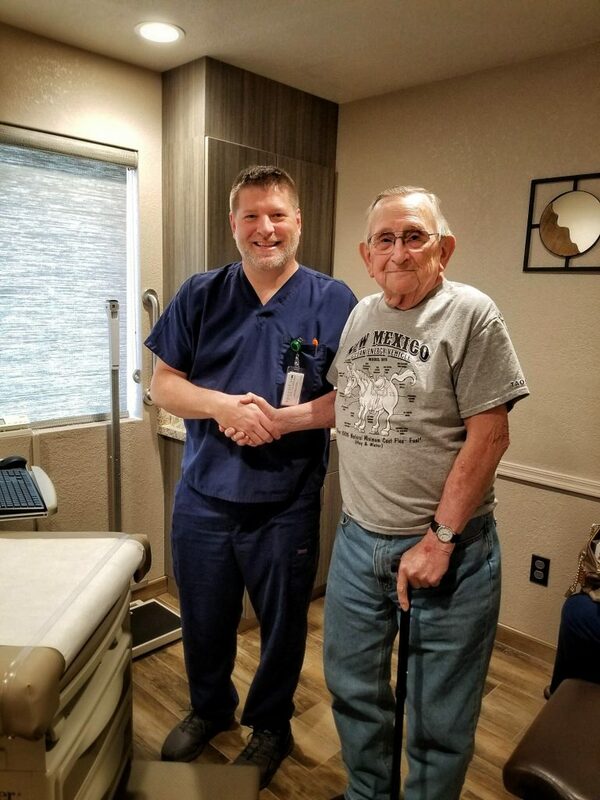 When after months and months, the work is done and the Spectrum Healthcare doors are open at 2880 Hopi Dr. in Sedona, Arizona, and the very first patient walks through them, well, you’d better believe we’re going to take his picture. Thank you to our wonderful patient, Jack, and our awesome provider, Mark Hughes for a wonderful start to the day! It’s great to be here, Sedona! Our Mobile Crisis Team partners with Arizona’s finest to bring help to those in need. 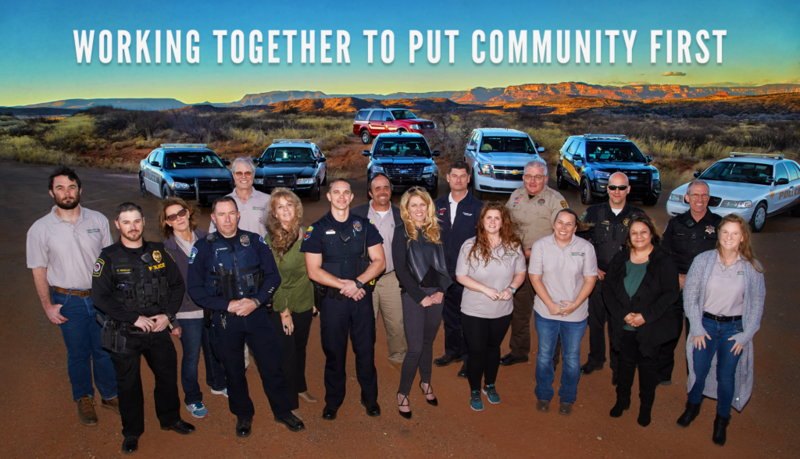 Working with first responders including Camp Verde Marshals, Clarkdale Police Department, Yavapai Apache Tribe Police, Yavapai County Sheriff’s Office, Cottonwood Police Department, Sedona Fire Department and Sedona Police Department, we are able to work together to bring the right help at the right time. How thankful we are for the men and women who keep us safe. And so very proud to partner with them to put our community first! 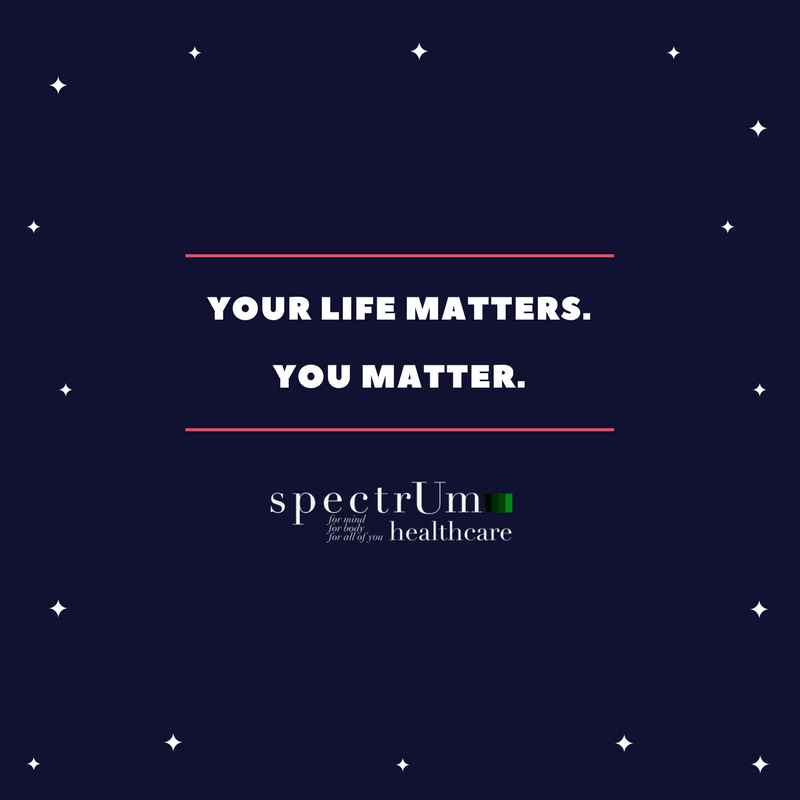 September 10-16 is National Suicide Prevention Week and The Mental Health Coalition Verde Valley is partnering with Spectrum Healthcare Group to host a panel of community members who have attempted suicide and are willing to share their stories so people can better understand this trauma which is the 8th leading cause of death in Arizona. On average in Arizona, one person dies by suicide every 7 hours according to the American Foundation for Suicide Prevention. The program will take place on Thursday, September 14, 4:45PM-6:45PM at the Jewish Community Sedona and the Verde Valley, 100 Meadowlark Dr, Sedona. A soup supper will be served at 4:45 and the panel will begin at 5:15PM. The program is free and open to the public. 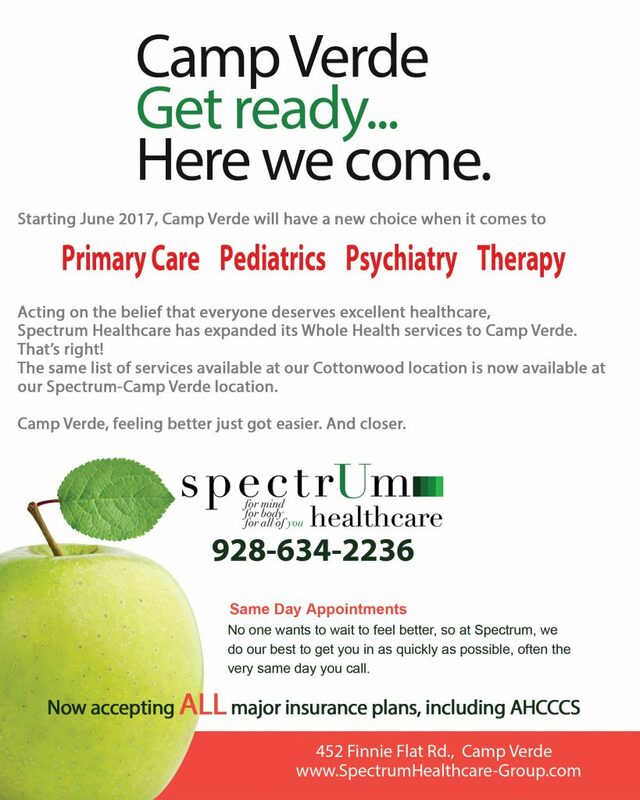 The Mental Health Coalition Verde Valley is an all volunteer 501C3 organization whose mission is to build support and eliminate the stigma for individuals and families challenged by mental health issues through education, outreach, advocacy, community conversations and support services. For more information, contact Barbara Litrell 649-0135 or blitrell@aol.com. So proud to once again be a part of Step Up Arizona, a David’s Hope event honoring law enforcement officers for outstanding service to people in mental health crisis, judicial officers for outstanding service in criminal justice mental health collaboration, and community members who have shown outstanding leadership in growing mental health criminal justice collaboration in Arizona. And a special thank you to Sgt. 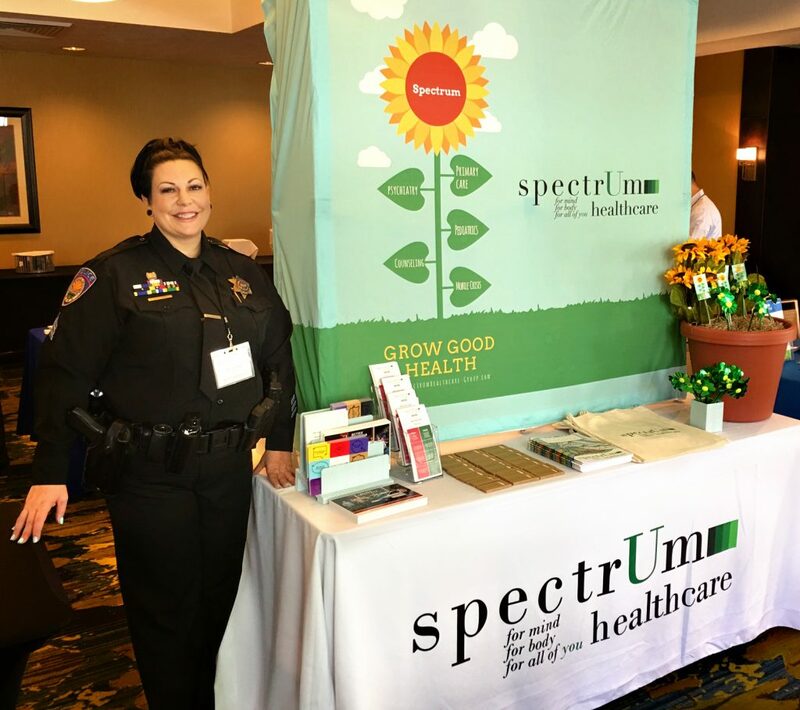 Nicole Florisi from the Clarkdale Police Department for all she does for our community, AND for a smile that lights up our booth!